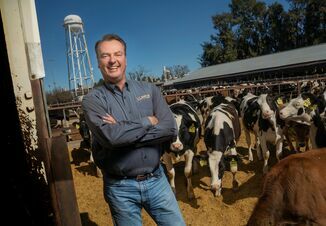 The headline of a recent business blog "The REAL shocking costs of dead inventory" by Eric Jensen may cause you to stop and think about how this issue could be related to dairy farms. In Jensen's blog, the "dead inventory" in question are retail goods that go unsold due to a variety of reasons but have been purchased, shipped, handled, marketed, expensed‚Äîin short, paid for in real dollars without any resultant income. Jensen indicated that even in well run companies this could be 20 to 30% of the business' inventory. Do dairies have similar issues? When data is available, managers can look at mortality numbers, feed shrink (tons harvested or purchased compared to as fed), and inventories of supplies to determine what changes if any are needed to reduce these sometimes steady drains on profitability. reported mortality levels of 5.7% in adult cows, 1.8% in weaned heifers and 7.8% in unweaned heifers. Managers can look at the cost of raising an animal and calculate the real dollar loss from mortality on their dairy. There is certainly loss associated with this direct mortality, but like other businesses dairies also suffer from hidden losses similar to the "dead inventory" of retail firms. For example, like the gallon of milk that must be discarded because it expired before making it across the scanner at the grocery store, dairies "lose" feedstuffs as shrink due to wind, water, spoilage, storage losses, and just plain sloppiness every day. (2014) estimated that shrink represented 15 to 20% of the total cost of feed on a dairy. 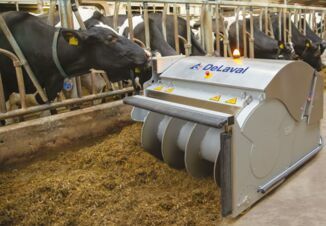 What dairy wouldn't like to reduce their feed costs by 15 to 20% without sacrificing production? What about management of inventories of supplies, medications, and vaccines? Are they being ordered and managed in quantities so as to be utilized appropriately and not being discarded due to inadequate or overlong storage conditions? Money spent for livestock, feed and medicines, or supplies that is lost to the dairy eats away at profit bit by bit‚Äîsomething to be especially wary of in low milk price times. 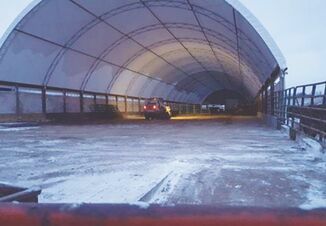 When the dairy dollar gets smaller, these seemingly "little" losses can make a big difference between profit or not for the year. were reported as feed, labor, depreciation, and supplies/vet med. The areas of loss outlined earlier clearly target these high level expenses so even small changes can make big impacts. Reducing mortality from 10% to 8% on a 100-cow dairy represents $3,600 per year (assumes cow value of $1,800 per head); on a 1,000-cow dairy that's $36,000 per year. Reducing feed shrink by just 5% is $5,000 lower cost for every $100,000 of feed in inventory. Focus on the big rocks, not the pebbles. Know your numbers for cost and for loss. Act accordingly to change practices where needed to reduce the losses. This might mean better monitoring, changes in standard operating practices, or better communication with employees. Work with your management team to better understand where dollars are being lost and profit is eroding. Take action in those big rock areas. There's an old saying about "How do you eat an elephant?" Answer: One bite at a time. Take your first bite out of losses where it counts the most, and recognize that sometimes small changes can result in big rewards.